Earlier this spring, a group of social media personalities, influencers, and athletes looked at what was happening in Somalia and wanted to do something to help. But right away they could see the scope of the crisis was far too big for their small group to make an impact. They needed to get a lot more people on their team. Uniting under the name Love Army for Somalia, they had a single goal: send an outpouring of love and support to people suffering from drought and famine in Somalia. This group – including actor Ben Stiller, YouTube stars Jerome Jarre and Casey Neistat, and Mexican social media celebrity Juanpa – engaged their followers and audiences. They created YouTube videos about what was happening in Somalia. They gave them a way to help. And within just a few days, they had raised over $2 million dollars for people in Somalia. Love Army for Somalia was born. At American Refugee Committee we believe in an abundant world where a bounty of resources exists to address the toughest problems. When Love Army asked us to help them put their goodwill to action in Somalia – we were on board. Right now, there’s a terrible drought happening in Somalia. Thousands of people have lost their livestock and any means to feed families. People are in desperate need for clean water and food relief to survive what some say has been the longest dry spell in the area since the 1970s. Families need help – and they need it soon. ARC is one of the few international organizations responding to the drought. We’ve been providing clean water, emergency health services, anddistributing food to families who are the worst affected. But conditions haven’t improved. And there aren’t enough people out there helping. That’s why the support from Love Army came at such a critical time. Their community of support has helped us make a bigger impact – in a shorter time – than we ever thought possible. 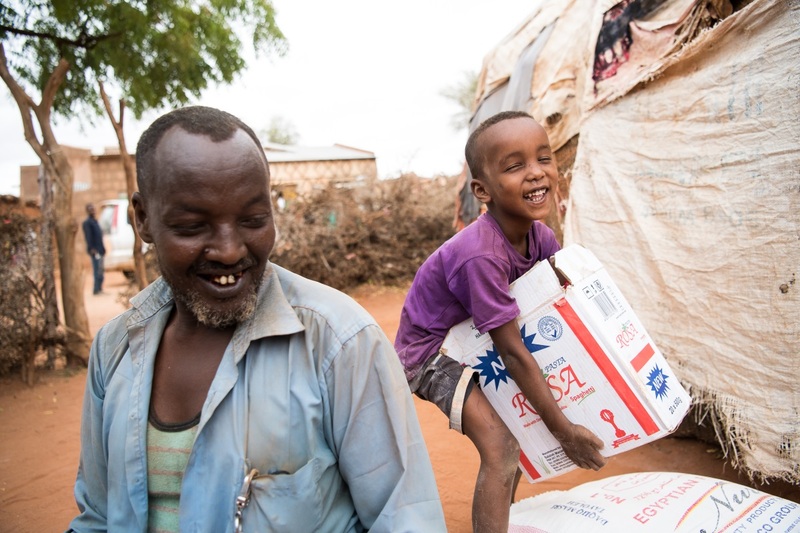 Since March, Love Army has mobilized their 1 Billion+ followers to send an outpouring of love and support to people struggling in Somalia. 95,000 people have joined the movement, and gifts as small as $5 added up to a staggering $2.7 million! As a result, we’ve been able to deliver 6 million liters of clean water and 1,300 tons of food to the hardest hit Somali families. But they wanted to do even more to not just help people survive but to give them a boost to thrive…. That brings us to the morning of September 20 – with Jerome, Casey and Juanpa on the stage at the Bill & Melinda Gates Foundation’s GOALKEEPERS event in New York City. With incredibly generous support from The Gates and others, Love Army was able to raise another $1 Million in just a few hours. BUT MOST AMAZINGLY? 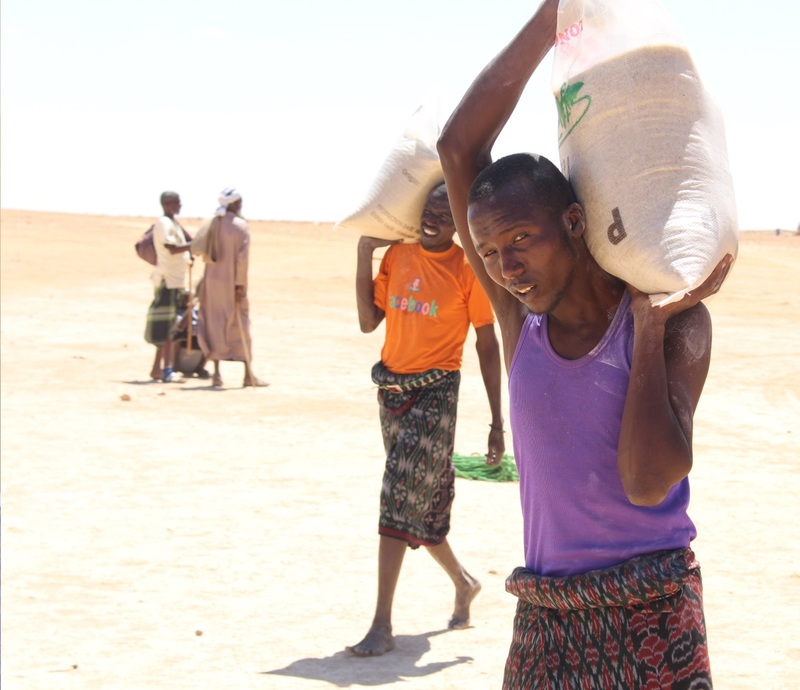 Those funds were wired directly to 1,000 families waiting in Somalia – families who’ve been suffering through the drought, losing livestock and struggling to even feed themselves. With funds transferred onto their mobile phones in the middle of the night, the families were able to use the money the very next day to purchase food and essentials. And then begin thinking about how they’ll use the rest to take back control of their lives. To the Bill & Melinda Gates Foundation and everyone who gave on September 20th. To Dahabshiil – for their partnership getting funds swiftly into the hands of families in-need. To Turkish Airlines – for the numerous cargo flights chartered to Somalia to deliver nutritional supplements to malnourished children. And to everyone who joined the movement and sent love and support to people in Somalia.